Wabi Sabi: The comprehensive Japanese world view or aesthetic centered on the acceptance of transience and imperfection. Wabi – rustic simplicity, freshness or quietness; applied to both natural and human-made objects; understated elegance. Also, quirks and anomalies arising from the process of construction, which add uniqueness and elegance to the object. Sabi – beauty or serenity that comes with age, when the life of the object and its impermanence appear in its patina and wear, or in any visible repairs. The Wabi Sabi idea gives some people relief from feeling they’ve not achieved enough in their lives. Or that their lives are unsatisfactory in some unfixable way. It’s an odd concept to put into words, but it hinges on the idea that it’s possible to completely accept what is arising into consciousness at any moment. With Wabi Sabi we decide that we never really know what is happening at any moment – we have only what we can receive through our senses, plus our internal processes of meaning making. Wabi Sabi questions how we use all of this (both what we think we’ve noticed, and the meanings we then make). It’s prepared to say that, even though we might think that the current situation is bad, and not at all perfect, yet it is perfect for now. Even if that now involves arguing with our spouse or partner! 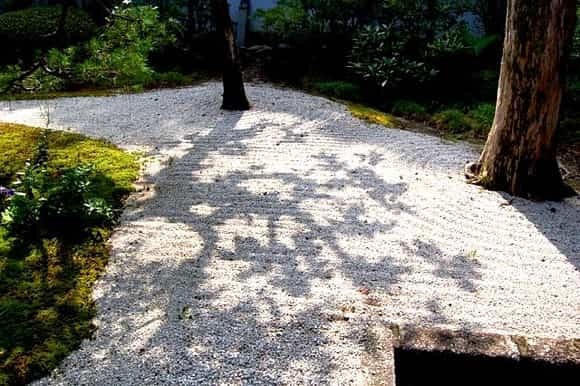 Wabi Sabi can enable us to step back from the events that trigger us, to get a bird’s eye view of the battleground; it see the unfolding of time and space around us from a place of acceptance, humility and observance. It’s a habit that we can practice. And it’s very gentle on ourselves and our partners. This is not to say we don’t work on the situations that confront us (say, the argument with our spouse), but we do the work knowing that both we and they are perfect, and each doing their best, in this moment. Would we not act like them if we believed what they are believing right now? Here are some tips on Wabi Sabi in relationships (with thankful acknowledgement of Arielle Ford’s lovely book Wabi Sabi Love). Having difficulties is inevitable. How we work with them is everything. Embracing the most fundamental aspects of your partner (understanding and accepting) seals the bond in your relationship. Play a real part in the life story of your partner. Acknowledge them and their passions. Love the quirks of your partner. Remember to have gratitude for what they bring. Both give and receive; don’t just dump and vent. Laughter can be a wonderful bonding agent. Watch the flow between you and your partner, and do your part to keep things fluid and in step. Share the truth, with sincerity and vulnerability (which we all seek) to heal the most broken relationship. Forgiveness is the foundation of any relationship. The shift of position to a birds-eye view (Wabi Sabi) is always available to us. Listen to your heart, your intuition. This changes your thinking. Anyone can evolve beyond their current wounds, and can experience deeper love because of this. Playfulness and role-playing can keep a relationship fresh and alive. Learn to receive and accept a deep level of care from your partner. One way to practice this is to try some sessions with us (Ron and Amanda) in our Co-Therapy setting (both counsellors in the room). We can be your “birds” (see the reference to a birds-eye view above). Use our two sets of eyes and ears to see and hear what is flowing between the two of you, and where the flow gets stuck. With us gently showing you this, you can then learn to do this for yourselves.